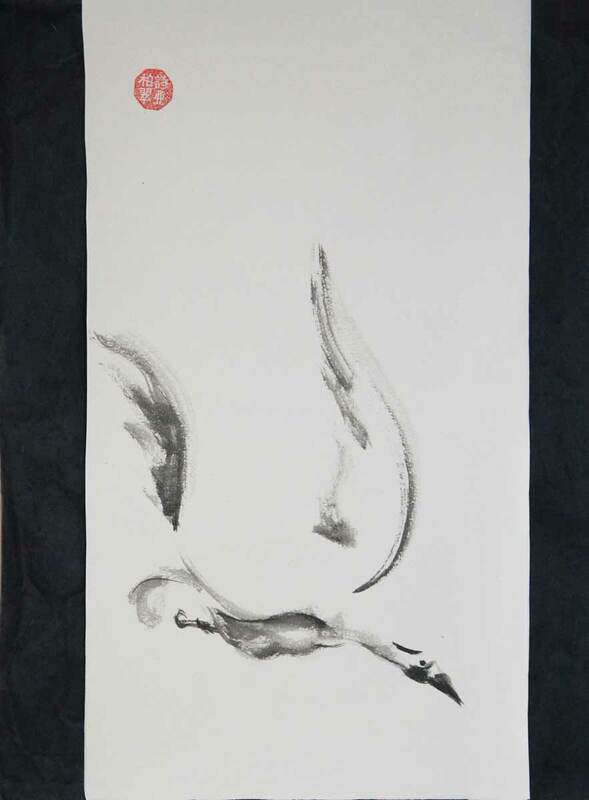 “Sumi-e (East Asian ink wash painting) … Meditation and planning are essential. It is impossible to correct the line once on paper. My hand betrays my inner state, requiring a balance of self-control and spontaneity. I distill my subject’s essence in my mind while grinding the ink. Every brush-touch must be full-charged with meaning, with useless detail eliminated. When I paint a flower I am freed from reproduction and inspired to convey its movement and fragrance. Patricia graduated from the School of the Art Institute of Chicago and The University of Minnesota. She is a Vice President for JPMorgan and brings her strong business expertise to the art world as the curator for OpenWall Chicago and Exhibition Coordinator for the NAB East Coast ICCPS (International Chinese Calligraphy and Ink Painting Society). A longtime member of the Sumi-e Society of America, Inc., Chicago Artist’s Coalition, Klein Artists Works Community and Wilson Artists Group. She has also been featured in numerous publications, a panelist for Chicago Creative Expo and as a public speaker has participated in media interviews on TV, Radio and YouTube. Her work is in several private collections. 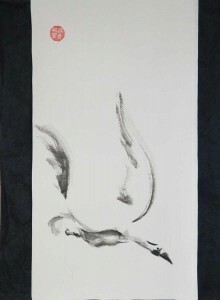 Her painting style has been labeled “fresh” with distinctive “flying brush strokes”. Many of her paintings have strong reproductive imagery and have been selected to promote events: Chicago Artist Month, Chicago Art Open, Midwest Business Travel Association and Ravenswood Artwalk to name a few.